Sorry for clickbait question but it really bugs me why Arduino is still a thing in the age of ARM based boards like Pine64, Raspberry Pi, Bannana Pi, Whatever Pi etc. I'm more or less aware of Arduino capabilities as I used to program PLC controllers but I don't really see any rational reason to use Arduino platform over ARM devboards (unless we need mission-critical level reliability however I believe commercial realtime OSes for ARM boards also exist). Even PLC and in general industrial controllers seem to shift towards platforms driven by actual RT OSes underneath running on powerfull hardware. Getting 30$ quad core 1.2 ghz ARM board with 512M RAM, ethernet, GPIO, I2C, SPI, USB, SD card and actual Linux OS which can do virtually everything whatsoever over 25$ Arduino Uno board with abacus level performance, similar or inferior i/o, capable of only pretty basic stuff sounds to me like no brainer. Arduino sounds to me like extremely cost ineffective solution for almost anything. And I can't seem to find any rational explanation to why people still use such thing now? Maybe as Linux engineer I'm a bit biased towards Unix based solutions because I feel "safe" in this ecosystem but still I think my points are kind of objective no matter if availability of unix itself on platform is considered serious advantage or not. It costs < $1 and is completely capable of most tasks that a hobbyist requires of a chip. Truthfully, it’s more than capable of many tasks a pro requires as well. It’s perfect for adding just a little bit of smarts to a project. Not every project needs an ARM chip, dual cores, or a Linux distro running. In fact, in low power situations, that’s likely the last thing I want. How long does your smart phone battery last? A day? 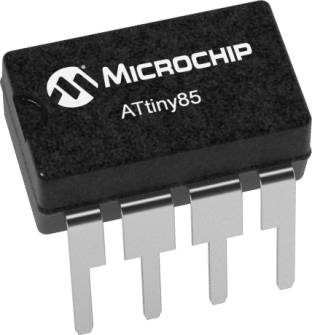 I’ve heard of people powering ATtiny based projects on 3 AAs for over a year! The Arduino is an excellent little dev board for these micros. For the cost of a few cups of coffee I can have one for my work bench. Heck, I’ve used them at work as dev boards for prototyping. It’s cheap enough to put one on the desk of every dev on a project. We can verify our code works on the target architecture very early in the dev process. That was unheard of just a decade ago. An arduino board is really a breakout for a micro processor. Microprocessors you can get separately. A rPi is really a full system without that modularity. There are also other size factors for that breakout board, many of which are much smaller than a rasberry pi and will have a much better battery life. And very often the abacus-level perf and half a dozen GPIO pins is all you really need. Also some people enjoy having direct control over the chip in a way that a semi-stripped linux OS on a poorly documented platform just doesn't give. Hard realtime when you don't have full control over the system means you need to trust the RT-OS writers to actually hold to their documented deadlines. Not the answer you're looking for? Browse other questions tagged arduino-uno raspberrypi performance or ask your own question. Why is int only 2 bytes? Would an infinite loop inside loop() perform faster? Why use a motor driver board? Why would uninitialized SD-card module without card disable CAN-Bus shield? Why is Serial.Write that slower when writing x+1 characters than when it is writing x characters? Oscillating Output from Arduino Pins when not in use, why?